The Ravagers were large tribes of nomadic barbarian peoples who once dwelt in the rural regions of the Wildlands. The Ravagers tribes were of ethnic Vaas descent. 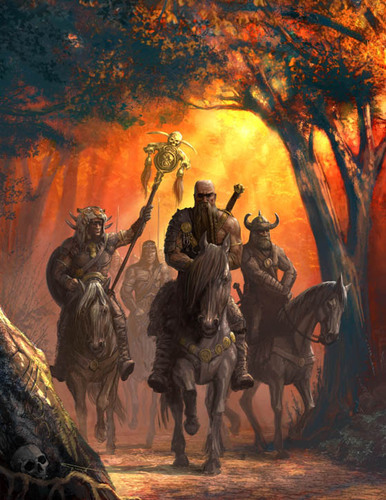 They were called the "Melkor;" one of the "Ten-Tribes" of the Nolar Clan. These barbaric people lived only for theft and plunder. The Ravagers were greatly feared for their cruel savagery. The Ravagers wore animal pelts and used animal skulls as head-dresses. They were proficient with bows, spears and great spiked clubs. Very few had real armor or forged swords, unless taken from fallen foes. Today, most of the Ravagers have died out, but a few still remain. 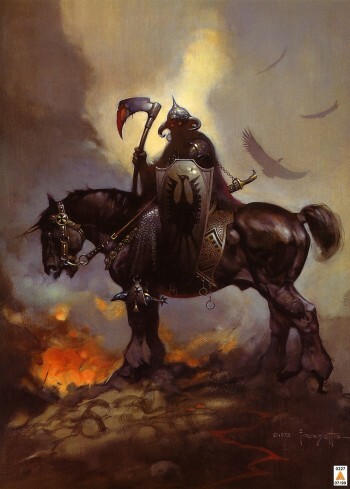 A typical Ravager raiding party is about 30-40 warriors, all mounted on horseback. In their bloodiest campaign, an army of Ravagers, led by their chieftain; Garthold, overthrew the Vaas kingdom of Harloch in the year 763/4 destroyed Castle Harloch, and burnt the city of Elsareth to the ground. The horde that did this was based out of Kor's Twins.